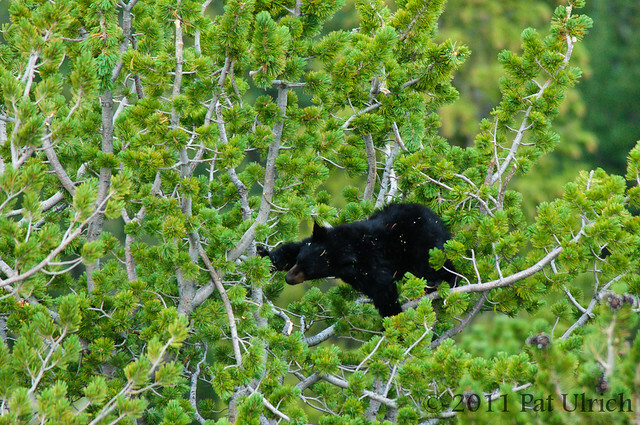 From the archives of our trip to Yellowstone National Park four years ago. We saw a ton of wildlife each day, but this is one species that for some reason I haven't yet posted to my blog. We saw the sheep almost daily on the cliffs above the road to the Gardiner entrance to the park, and on our last full day there, we decided to hike a trail up to their elevation to try for a better view. We met this very friendly ewe along the way, and she led us to the larger flock. It was a bit disappointing that there were no adult males in the group, but we did get a great encounter with a few dozen females and lambs. 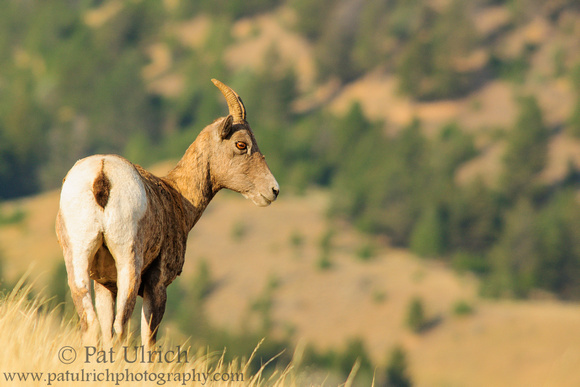 View more photographs of bighorn sheep. 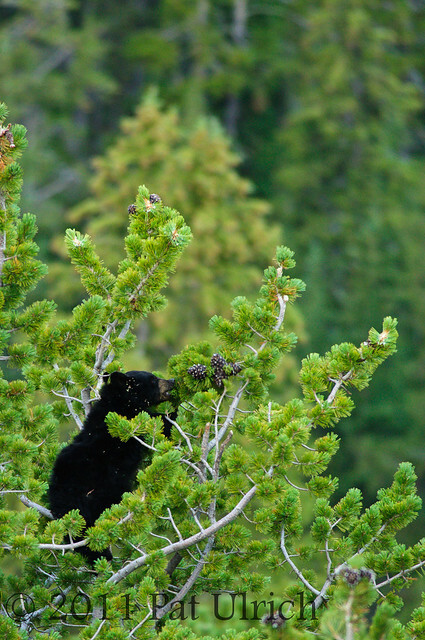 During our 2011 road trip through Yellowstone National Park, we spent plenty of time driving the loop roads looking for wildlife. On this particular afternoon, some nice high-level clouds moved in and provided lovely diffuse overcast light during what would otherwise generally be a non-photographic time for me (~2pm in the afternoon). 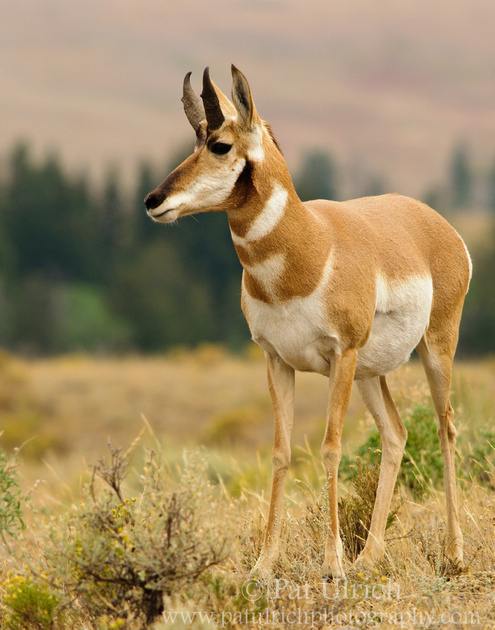 It provided a great opportunity for a chance encounter with a pair of pronghorn close to the road near the Lamar Valley. I really liked this setting for these portraits with the edge of the evergreen forest in the background. 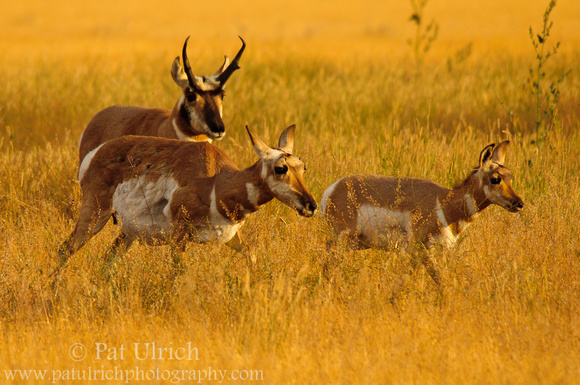 Most of my photographic opportunities with pronghorn came in more traditional prairie grasslands, so it was awesome to have a chance to diversify the setting with this series. 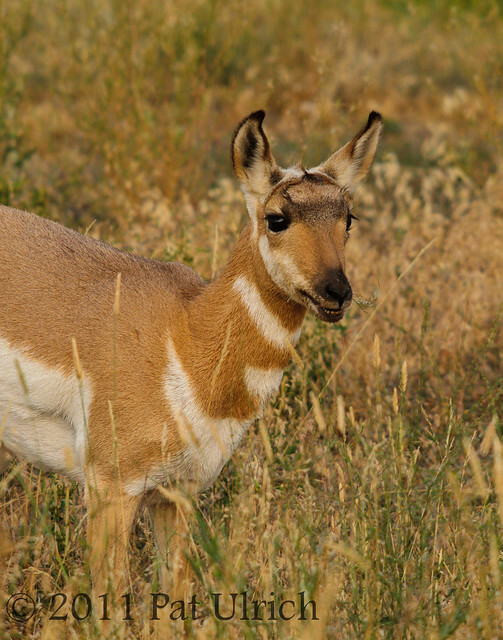 This pronghorn hung around for a while and was kind enough to pose for a series of portraits as it observed the gathering crowd. 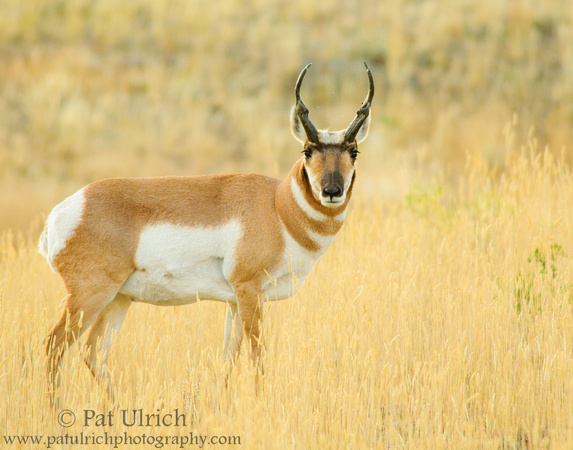 View more of my pronghorn photography. 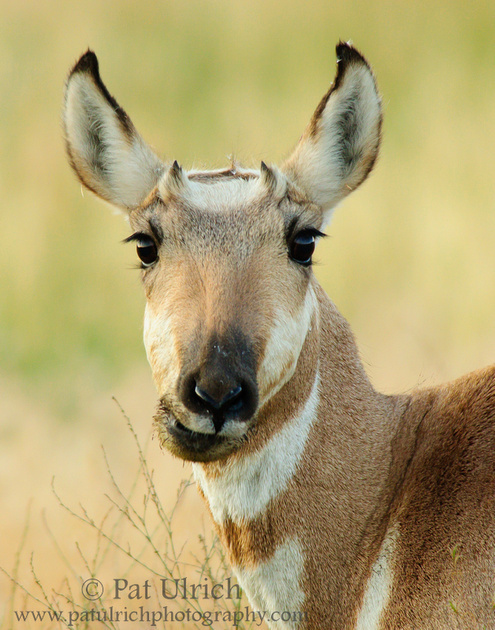 A profile view of a pronghorn buck in northern Yellowstone National Park. One could even think it was a unicorn in this view, if not for the slightly different bend to the tip of his horns. This was a large male that we saw traveling with a group of other bachelors through the dry plains just outside of Gardner. 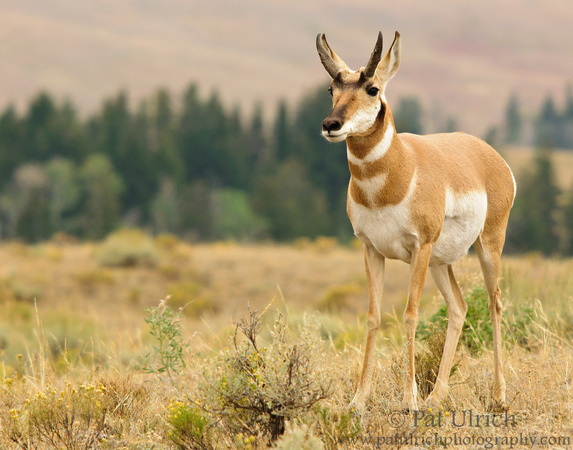 View more images of pronghorn in my Pronghorn Gallery. 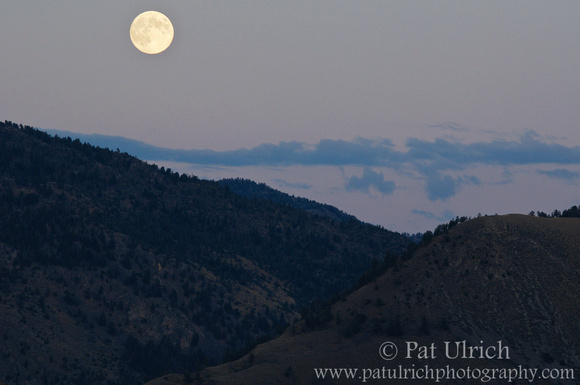 On the final day of our trip to Yellowstone National Park, we decided to take one last morning drive across the northern roads of the park and through the Lamar Valley before continuing on our move east. 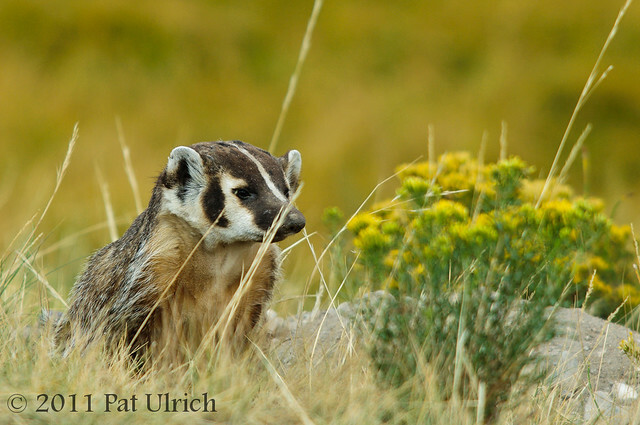 We didn't see much along this final drive, but we did find an American badger quite close to the road on the way to the Slough Creek Trailhead. My initial sighting of the badger was just a few clouds of dirt being thrown in the air, and I was able to snap off a few frames out of the car window as he dug. We were quite lucky that he was working over a hillside just down from a small parking area that morning, so we were able to park the car and spend about 20 minutes watching him dig and tromp around. The only downside, photographically that is, was that he was in a grassy area, and since badgers are so close to the ground, it was hard to get an unobstructed view of his face in a photo. 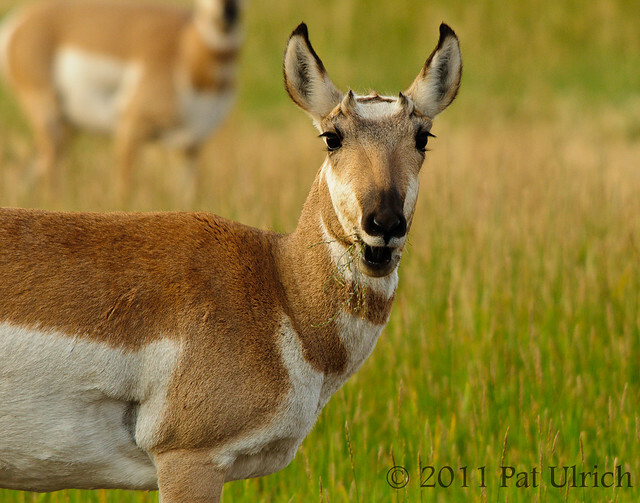 Pronghorn were really one of the highlights of my trip to Yellowstone National Park. 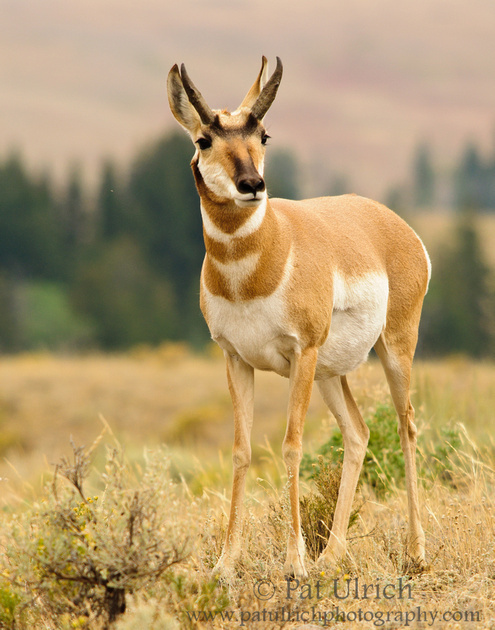 As I've mentioned previously on this blog, I've been fascinated by pronghorn since I was a child, and it was really a dream come true to have had the opportunity to photograph them at close range nearly every day during our week-long stay in Yellowstone. 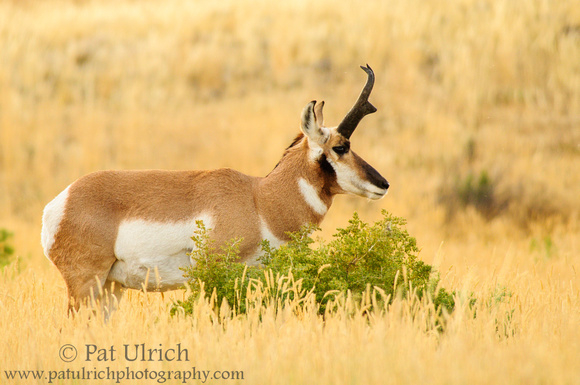 We found this handsome buck strolling through the tall grasses along the northern edge of the park near Gardiner, Montana. He was the largest of three males traveling together in a small group, and we watched them browse for a meal until the sun had on our last evening in the park (just before I took the moonrise image I posted a few days ago). 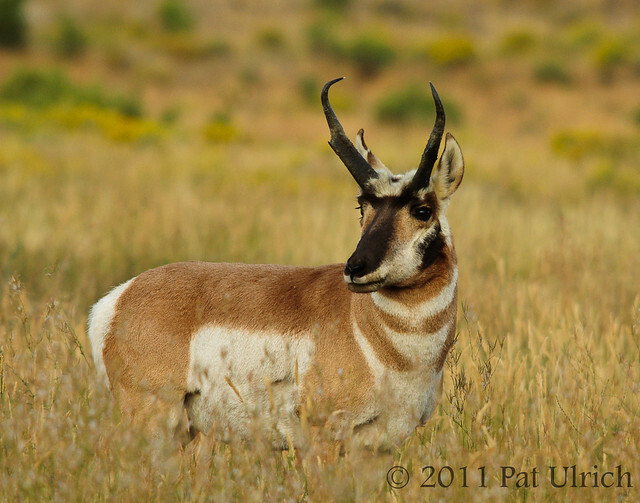 Browse more photographs of pronghorn in my Pronghorn Gallery. While I'm excited to have some new images to share from Massachusetts, I also still have a lot of photos to share from my trip to Yellowstone and Grand Teton National Parks, so it will probably be a mix on the blog for a while. In this shot, the dominant male pronghorn that we saw on a daily basis during our trip is rounding up his herd at sunset, presumably to keep them together overnight. While the buck was not always right with his harem, he was never far away, and it was interesting to watch their interactions. The females clearly responded to his presence, and on more than one occasion, we saw him gently guide the herd to a different location on the prairie. 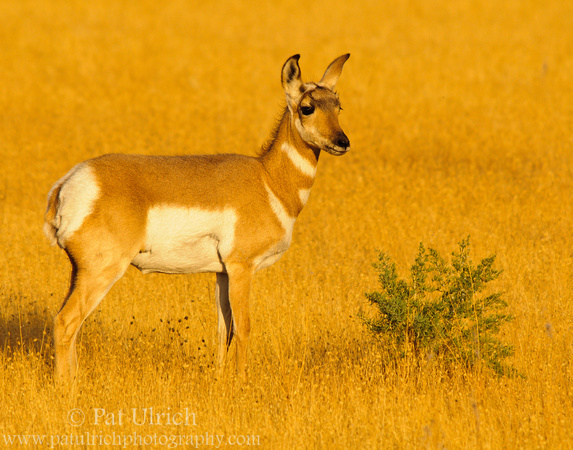 View more photos of the fastest animal in North America in my Pronghorn Gallery. One of the challenges of photographing the megafauna of Yellowstone National Park is that many of them (at least the herbivores) are ruminants. This means that they spend an awful lot of their time chewing. This can make for the occasional comical shot (this one looks surprised, doesn't it? ), but it can also lead to a lot of photos with less than facial ideal expressions. But in the end, you take what nature gives you -- and make the most of the frequent chewers. 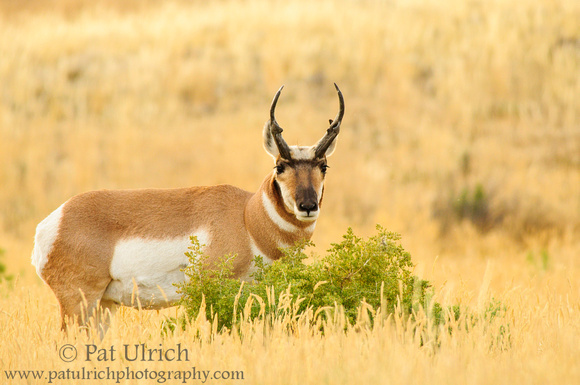 View more photos of this beautiful species in my Pronghorn Gallery. For as bird-centric as my photography often is, I photographed very few avian subjects during my trip to Yellowstone and Grand Teton National Parks. I had hoped to find more birds, but the large terrestrial megafauna were just too amazing to look away from. I did however, snap a few shots of a Clark's nutcracker (a fascinating bird with a really awesome memory!) 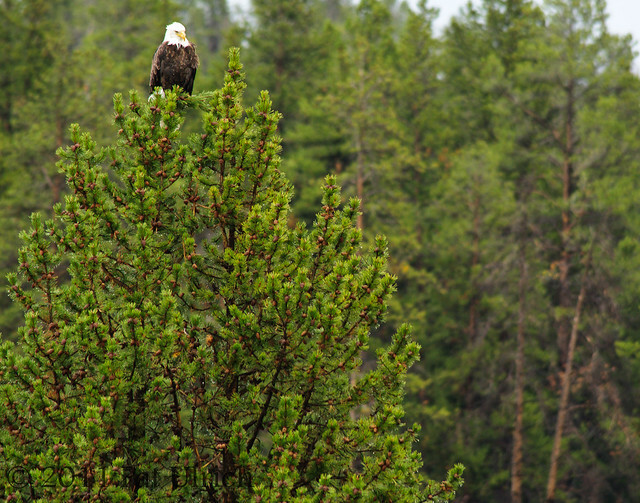 as well as this bald eagle perched in a tree in Hayden Valley. I had really hoped to see some trumpeter swans, but that just wasn't in the cards this time. There's always next time though! 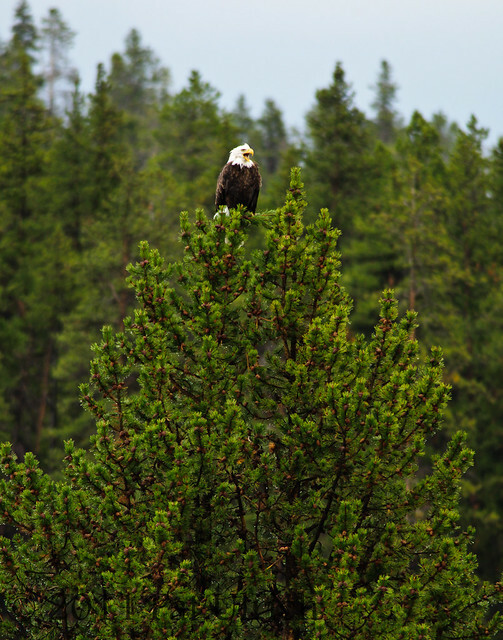 As for this eagle, it was perched in the top of a tree and was watching the water below. It had drawn a pretty good crowd, but since it was on the opposite side of the river, it seemed not to care too much about all the people watching it. What it did care about though, is the red-tailed hawk that must have had a nest close by. In the top photo in the post, the eagle is calling out at the hawk just before the hawk flew straight at it and scared it away. It was quite a sight to see a smaller bird come swooping in at high speed, and the bald eagle wanted no part of it. View more photos of raptors in my Birds of Prey gallery. Submitted to World Bird Wednesday -- Follow the link to check out this week's posts. 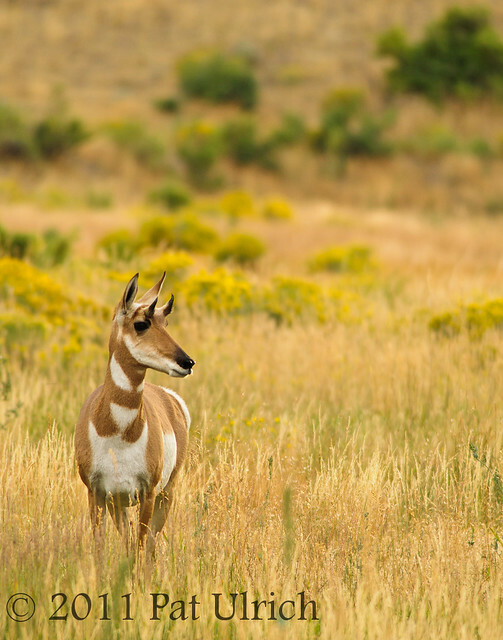 A dominant pronghorn buck watches over his harem near the Gardiner entrance to Yellowstone National Park. It was a lot of fun to see this harem on a daily basis while coming into the park, and this buck seemed to take pretty good care of them. While the females happily fed fairly close to the road, he only occasionally come close to the group of onlookers, and he usually didn't stay close for long. He was quite a handsome buck though, and hopefully he was able to defend his harem during the upcoming rut.